His name is Ron Johnson, he comes from Wisconsin, and he thinks that his Senate colleague Kirsten Gillibrand should either expose the identities of the men who harassed her about her body or shut up about sexism. 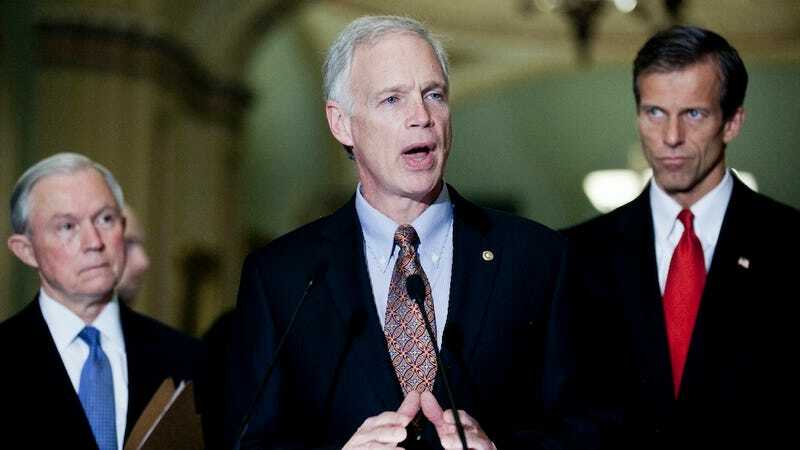 After all, Senator Ron Johnson (a man) has never seen sexism during his time in the Senate. Therefore, it's questionable whether it even exists. Senator Johnson, appearing on NewsmaxTV's The Steve Malzberg Show today (clip spotted by BuzzFeed), was asked about claims Gillibrand makes in her new book, and he responded exactly the way you'd think a Tea Partier who once remarked that he hoped Senator Tammy Baldwin (who majored in math in college) could understand the math behind the federal budget might: Terribly! Woof. Yeah, Kirsten. Think of the poor men who aren't even being given a chance to defend themselves. Tip for TV journalists: if you want to know about whether or not a place is sexist, the best person to ask is a probably not one of the legislative branch's most clueless men.